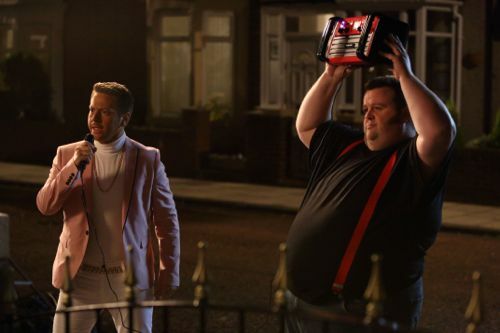 I could not let 2013 pass without a special mention for my comedy of the year – Hebburn. Shamefully ignored in last week’s British Comedy Awards, the first BBC2 series was screened in October and November 2012. Just about as impressive a TV sitcom debut as I can remember. And I was there in September 1998 for the very first press screening of a new BBC2 sitcom called The Royle Family. 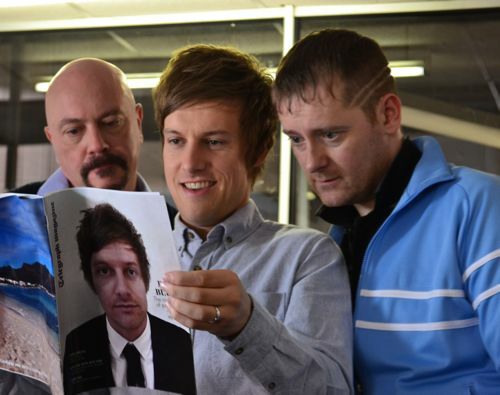 Hebburn is a worthy successor to Geordie comedy classics like Whatever Happened To The Likely Lads? and Auf Wiedersehen, Pet. I truly loved that first series and hoped the Hebburn team could at least match it with the second, which began last month. In the event, they have surpassed all my expectations with a series that has built from episode to episode, along with the cast performances. Culminating in a classic end of series episode six tomorrow (Tuesday) night. Which includes the Swayze’s launch of Hot Guilt, the “first debut album” by pub singer Gervaise – a beautifully judged performance by Neil Grainger. Gervaise, of course, being the love child of Star Turn. With Big Keith (Steffen Peddie) on bongos. Not forgetting to make use of your freeze frame to check out his album tracks in full. Creating and sustaining a genuinely funny new sitcom is one of the toughest tasks in television. But to produce one with such wit, warmth, heart and knowing humour is a real achievement. And if you manage to include a scene involving a saveloy dip, then you’re touched by genius. I was born and raised almost directly opposite Hebburn on the proper side of the Tyne. It also just so happens that my brother and his Hebburn-born wife live a few doors down from the house used for the exterior of Pauline (Gina McKee) and Joe (Jim Moir) Pearson’s house. It follows that I’ve made many visits to Hebburn, usually under the cover of darkness. So even though it is set in the deep south, I recognise the DNA. As well as local newspapers like the Hebburn Advertiser. There was the usual nonsense when the first series began, with some “locals” upset by Hebburn’s portrayal of the area. Making the error of mistaking an affectionate sitcom full of love for the town with a hard-nosed documentary expose. In any case, neighbouring Jarrow comes off far worse. While thanks to the magic of telly, most of the show is actually filmed at MediaCityUK in Salford. 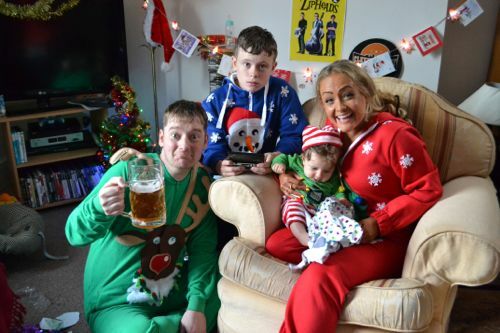 At its core, Hebburn is the story of Jack (Chris Ramsey) and Sarah (Kimberley Nixon), their family and friends. It’s been a delight to see that world blossom with some cracking scripts from creator Jason Cook, who also plays Ramsey, and co-writer Graham Duff, who pops up from time to time as dynamic Hebburn Advertiser photographer David. Matched by a top class cast including Pat Dunn (Dot), Lisa McGrillis (Vicki) and Victoria Elliott (Denise). The whole production growing in confidence as the weeks fly by. Series two also attracting the acting legend that is John Woodvine, as Arthur, along with a cameo role by Tim Healy. Plus the welcome recent arrival of Melanie Hill. Comedy is, of course, subjective and I know there will be some who just don’t get Hebburn. Me? I cried with laughter ALL the way through tomorrow night’s episode. Luckily episode six isn’t really the end of the second series. That honour falls to episode seven. Also known as the Christmas special. On screen this Sunday night. It features a question about executive producers I’ve always wished someone would ask. A guest appearance by Miriam Margolyes as Millie. And a quite perfect festive conclusion. Television can inform, educate and entertain. The latter is certainly true of Hebburn. Most of all it has brought me joy. But for my money, every room Hebburn is shown in has to be…a good room. 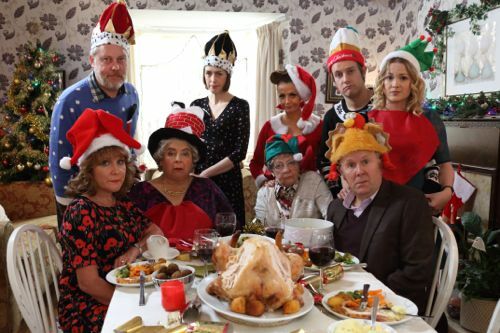 Hebburn series two concludes on BBC2 at 10pm on Tuesday December 17. 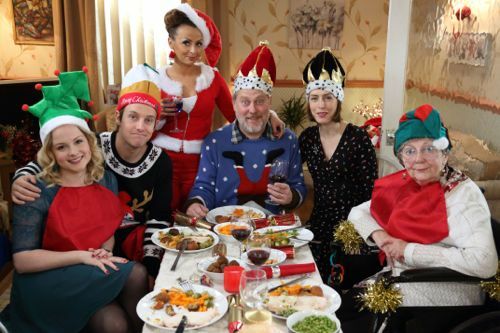 The Hebburn Christmas special is on BBC2 at 10:30pm on Sunday December 22 and repeated at 11:50pm on Christmas Day. 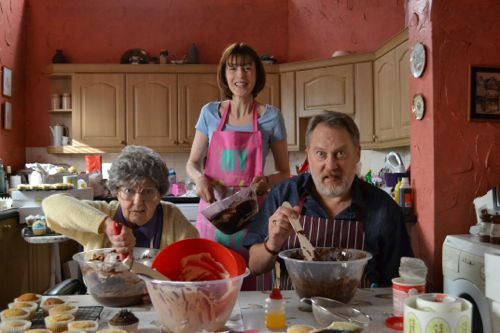 Pat Dunn (Dot), Gina McKee (Pauline) and Jim Moir (Joe). Neil Grainger and Steffen Peddie as Gervaise and Big Keith. 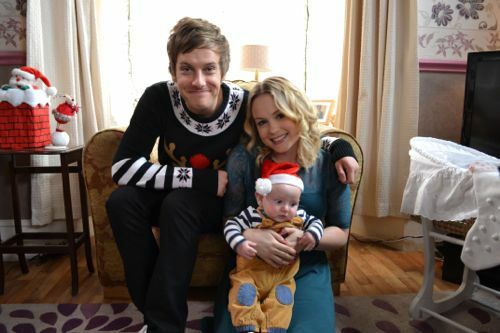 Chris Ramsey and Kimberley Nixon as Jack and Sarah. 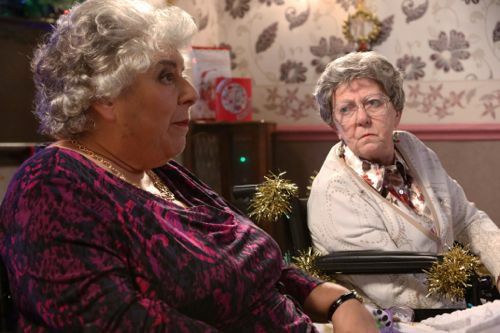 Miriam Margolyes as Millie and Pat Dunn as Dot. Lisa McGrillis as Vicki and Stuart Martin as Lindsay. 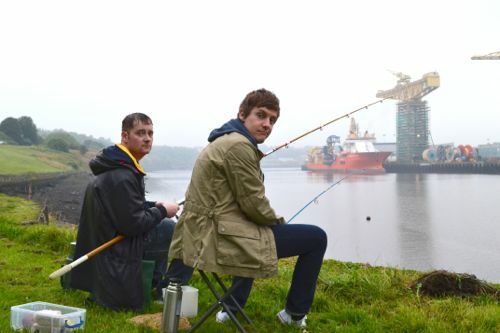 Jason Cook as Ramsey and Chris Ramsey as Jack. John Woodvine (right) as Arthur. Graham Duff (David), Chris Ramsey (Jack) and Jason Cook (Ramsey). Posted in News and tagged Baby Cow, BBC Two, BBC2, Channel X, Chris Ramsey, Gina McKee, Graham Duff, Hebburn, Jason Cook, Jim Moir, John Woodvine, Kimberley Nixon, Lisa McGrillis, Melanie Hill, Miriam Margolyes, Neil Grainger, Pat Dunn, Steffen Peddie, Stuart Martin, Tim Healy, Victoria Elliott. Bookmark the permalink.